My first miniature finished in 2012 is this Sons of Medusa space marine captain done as a Christmas commission for my good friend Aaron (Grey Death) from The Painting Corps. The first marine I have painted in a number of years, this project was a lot of fun. Not only is the SoM colour scheme great fun to do - if a little challenging due to the poor coverage of scorpion green (thank god for my airbrush! ), but it was a cool challenge trying to keep the model in keeping with the look and feel of the rest of Aaron's force. The model has had a few subtle conversions, namely the plasma pistol and the bionic eye. The eye was a late addition due to the horrible cast quality of the model around the face making the right eye unpaintable and the face covered in excess metal on that side. Luckily it turned out pretty well and fits with the Sons of Medusa theme (being successors of the Iron Hands). Here's hoping Aaron likes him and be sure to let me know what you think in the comments. So 2011 is in the books and all in, despite the fact I only painted 3 models in the entire year (I know...), it was a pretty good year for the blog. There were 21 posts in 2011 with a good mix of tips, tutorials and reviews but I want to do even more in 2012. But enough about my blog for now. For this post I want to share with you all a few blogs and sites I have found recently that I would strongly recommend you check out. Sproket's Small World is the blog of former Golden Demon UK Slayer Sword winner David Soper. David is an extremely talented painter and converter with a bit of a "modern classic" style. While his blog is fairly new at only 6 months old, he has already shared a number of excellent step by step tutorials and tips, making this blog well worth a look. Check out his tutorial on painting Dark Eldar Scourge wings - brilliant and makes it looks so simple! 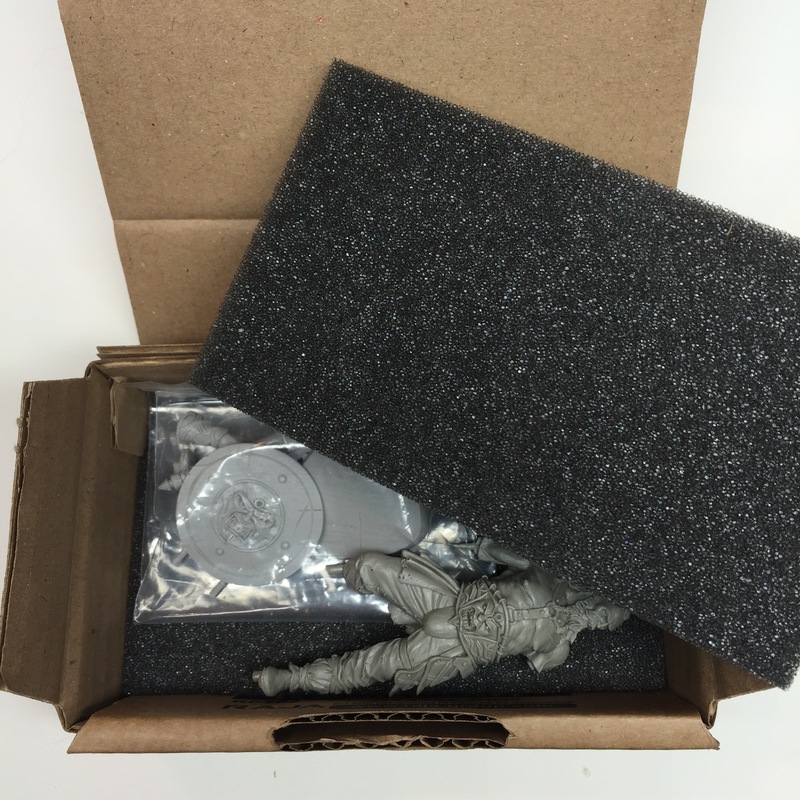 RuneCast Blog is the blog of the almost sickeningly talented Gregor - a freelance miniature sculptor combining a blend of classic marauder miniatures style with more modern 40k sculpt style. In particular check out his conversion work on a Black Templars Contemptor dreadnought and his Dwarves. Cracking stuff! Fantasygames is not only one of the slickest designed hobby blogs/sites around, but also the home of a talented group of Polish painters. While mostly a place to display finished models there are the occasional WIP posts and some innovative ideas on show. Be sure to check out "The Puppet Master" diorama - really cool magic effects going on there. So there you go, three great blogs to kick start your 2012 with!